Stretch ceilings are currently the best choice for repair. Installation of stretch ceilings is carried out in the shortest possible time without dirt and dust, and environmentally friendly and durable materials are used, which are not afraid of leaks and UV radiation. Most of the clients turn to us repeatedly or on the recommendation of acquaintances. Installation and materials are already included in the price. We work with a prepayment of 20% (options are possible without prepayment). Metering is possible on your call on the day of treatment, at a convenient time. Installation of stretch ceilings in Kaliningrad 2-3 days after signing the contract or on your call in a convenient for you day. All our installers are professionals who have the necessary experience. Only high-quality materials are used. Also we have all the necessary certificates. We have our own production, carried out on German equipment. We work directly without intermediaries, which allows us to reduce the cost of the final product. We install stretch ceilings in Kaliningrad and various budget areas: from elite fabric to more budget options, like seamless stretch ceilings, and more economical options with a seam. To determine the choice and order stretch ceilings, call our specialists by phone 8 (4012) 76-07-97 and get a free consultation. After the order our zamerschik free of charge will come to you with samples of materials, firm catalogs and will give detailed consultation. The cost of stretch ceilings is not increased due to the visit of the gauger — it is frozen and the consultation is provided free of charge! All installation work is carried out exclusively by qualified specialists with extensive experience. 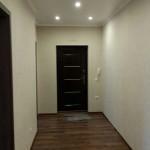 We work all over Kaliningrad and the region. Installation of stretch ceilings of any complexity. Materials: France, Italy, Belgium. 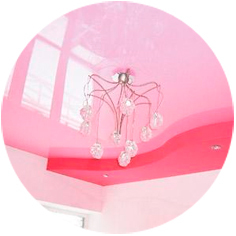 Installation of stretch ceilings matte, glossy, color. Free exit zamerschika to you in the apartment, the object. Our gauges are specially trained specialists with samples and catalogs. Also we have specialists who are engaged in creating multi-level structures, in particular a decorative box for the subsequent installation of a stretch ceiling. Services for draining water from the stretch ceiling in case of leakage. Repair of stretch ceiling in Kaliningrad and any complexity. For our beautiful city of Kaliningrad with its majestic beautiful, but old buildings, which have certain difficulties because of their age, stretch ceilings are the best solution! Order a stretch ceiling from us and get a guarantee for all work. — At the final stage, the installation of luminaires and making holes for ventilation. After installation, the ceiling must be thoroughly cleaned. Care of the stretch ceiling is reduced to maintaining the attractiveness of its appearance. To do this, soft lint-free fabrics and special detergents are used, which do not contain abrasives or solvents. — when drilling, tiles can crack. — It is not necessary to leave small sections of walls without tiles, since the frame is always fastened to the tile, and not above it. This is due to the fact that the shape of the baguette in the section is similar to the letter «P». With the help of screws, the baguette is fixed with a groove down. Then the film is placed in the groove and the plastic glazing beads are inserted. If you install the structure above the tiled surface, then there will be a piece of wall without tiles, which will have to be covered with a plinth. Therefore, the tiles must be laid out to the very top. Cloth stretch ceilings during their installation is heated by a heat gun, so first you need to paste wallpaper, and then install the ceiling. Access to the walls should be free, which means that the bathroom or shower should be installed after the tension ceilings have been completed. Otherwise, it will be difficult to reach the walls to perform the necessary work. Furniture should be moved away from the walls by half a meter, and behind the slopes of plastic windows, during the heating of the film, you can not worry, because the temperature for heating does not exceed 70 degrees. The presence of all lamps is also necessary. 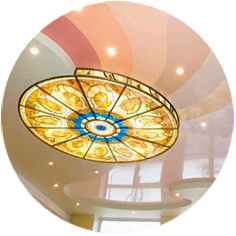 In the suspended ceiling, you can install any chandeliers, with some exceptions, and spotlights. But, when installing the built-in light sources, the canvas should be from the ceiling at a distance of 8 centimeters. Do not put halogen bulbs, because they are very hot. And if the halogen lamps are in the chandelier, then they should be at a distance of 10-15 centimeters from the ceiling. And although the suspended ceilings can not burn, but at high temperature they can melt. 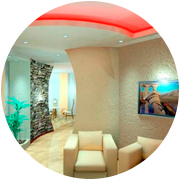 Our company has extensive experience in installing stretch ceilings. We guarantee quality work done and reasonable prices. We offer installation of traditional stretch ceilings in Kaliningrad, as well as installation of multi-level and complex shaped ceilings. And the use of a wide variety of colors and textures will satisfy any design decisions. Stretch ceiling from professionals! Contact us for any, free, advice! 32 queries in 1,548 seconds.